Germans sweep their sidewalk, did you know that? And I’m not talking about just when it is REALLY dirty, or covered in leaves. I mean regularly. Like some people sweep their floors. It’s probably on the chores list right next to cleaning the cat and washing the walls. Now, not everybody sweeps their sidewalk every week. But, everybody (just about) in my region of Germany are concerned with the cleanliness of their sidewalk. Every spring is like a call to arms, or brooms, and everybody takes to the street on the first nice Saturday we have. Even crazier is that when I say street, I mean the actual street. The curb and gutter at a minimum. But if the street isn’t clean enough, they will sweep that thing too! I am poking a little fun, but I will tell you a little secret. I like it. I think it is one of the things that makes Germany, Germany. We have been to a lot of other countries, and they just aren’t as neat and tidy as Germany. I love that about Germany. I love that about Germans. I love that about MY German (love you Baby). It actually says a lot about the German people as a whole. 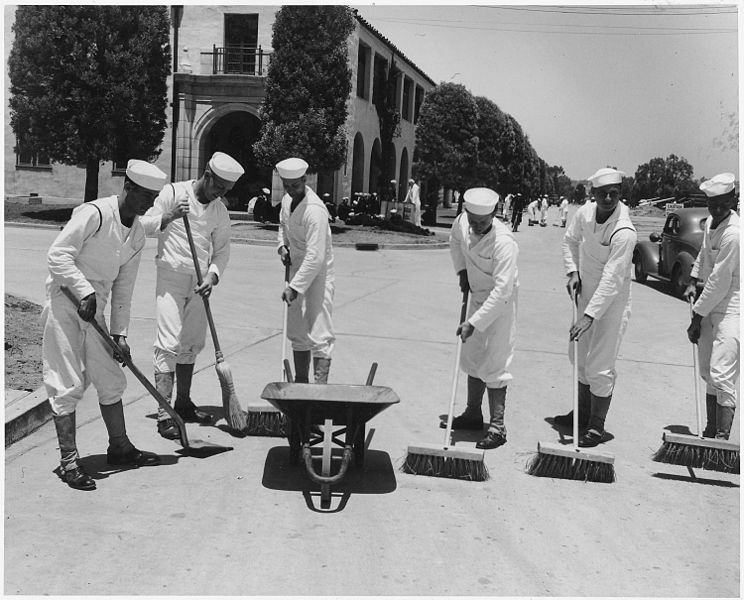 I don’t see many Americans sweeping sidewalks. Before I came to Germany I had a preconceived notion (just one of the many stereotypes running rampant around the world) that Germans were very uptight and rigid. That they are definitely not thank God, or my life would be boring. But they are definitely neat. And tidy. And concerned about their sidewalks. Rheinland-Pfalz, and they definitely sweep their sidewalks around here.